RUSH: So now we have learned even more about what went on at the school in Parkland, Florida. Queue up audio sound bite No. 19. This was yesterday in Ft. Lauderdale. The Broward County sheriff, Scott Israel, held a press conference and said this about one of his officers, Deputy Scot Peterson — who, as it turns out, was armed and was on duty at the school, at the time of the shooting. ISRAEL: What I saw was a deputy arrive at the west side of building 12, take up a position, and he never went in. REPORTER: What should he have done? ISRAEL: Went in. Address the killer. Killed the killer. RUSH: Did you hear the media clown? “What — what — what should he have done, huh? Drop the gun? Tell the killer that he meant him no harm? What should he have done?” The sheriff said: Go in there and wipe the guy out! Would somebody explain to me why anybody is mad at the NRA (I mean, rationally) and why is anybody mad at Donald Trump, and why is anybody mad at the Republican Party? You take a look at what happened in this entire event, and everywhere you look you find a failure at every level of some agency of government. You don’t find failure the NRA, and Donald Trump had nothing to do with it. We had a deputy that was there, a deputy who was armed, a deputy who heard the shots, a deputy who was there and could have gone into that school and done his duty as he’s trained to do. This deputy, at a 2015 or 2016 town hall-type meeting, a council meeting… He lives in Boynton Beach, by the way, which is north of Ft. Lauderdale. It is, I don’t know, halfway between where we are and down to Ft. Lauderdale. Maybe not quite that far, but it’s well within the driving distance here. It’s not a trek. And he’s at a town council there and he’s advocating for this very circumstance. And, furthermore, he wants housing provided for the deputies that are patrolling these schools. Who knew there were deputies patrolling the schools before this? Well, somebody knew it, and we only find out about it because the deputy patrolling this school didn’t do anything about it when he heard gunshots. There is an irrational reaction to this happening here, and it is dangerous, because it’s steering people in the wrong direction. It is as I said a couple days ago, maybe yesterday, in my thoughtful and careful analysis of that garbage CNN event. This is what indoctrination, this is what propagandizing people looks like. This is what creating a bunch of mind-numbed robots looks like: The audience in the CNN whatever they want to call that. It was not a town hall. So people get programmed, and they get propagandized into believing certain things. And then they’re triggered by things that cause a knee-jerk reaction and they immediately recall what is it they’ve been propagandized to believe. In the meantime, they’re not even grounded in reality. They’re not even close. The real question here is: What was going on in Broward County? What’s been going on in south Florida? What’s been going on in the neighborhood of this school? There was ample opportunity to stop this shooter I don’t know how many ways, how many times, both before he entered the school and pulled the trigger and after. There was ample opportunity to stop the guy, and look at where people’s anger is being directed. CNN is taking the lead in utter irresponsibility — dangerous, utter irresponsibility — in the way they are steering people to think about this, because of their collective, poisoned hatred for Donald Trump, piled on top of their already preexisting hatred for the Republican Party and conservatism. They are stoking anger and rage in directions not only where people there are not responsible, had nothing to do with it — and, as such, ought to be left alone. There’s plenty of place for genuine anger here. There are plenty of opportunities and correct places to go to exhibit that rage and anger. And do you know what’s happening now? This is being blamed on the Russians, by the way. But I think that’s a crock. Twitter and Facebook bots are going nuts bombarding any business that has any kind of tie with the NRA. Enterprise Rent-A-Car. They’re based out of St. Louis. They own National Car Rental and one other outfit, and they have announced that their terminating their relationship with the NRA. I’ll guarantee you what’s happening. What is happening is they’re being flooded — their Twitter account, their Facebook pages, and their emails are being flooded — with bots created by left-wing Democrat activists who are making themselves look like the entire nation. You may have 10 people who are making themselves looking 10,000. You may have 20 people making themselves look like 20,000. Even those who acknowledge that this is a possibility, some in the Drive-Bys are trying to lay this off on the Russians. It’s Russian bots. There’s also a bank in Omaha that had a Visa card promotion with the NRA, and they’ve announced they’re gonna cancel it. Been there, folks. Been there, done that, for over 20 years. I know exactly what’s happening here, and it’s not legitimate. There is not a majority of the American people that even for a moment considered sending an email or an angry tweet to a bank in Omaha. This is coming right out of Media Matters, ThinkProgress, or some other left-wing organization. Take your pick. It’s a combination bot and human being campaign. It’s the same thing that is happening to Enterprise Rent-A-Car, and they don’t want to deal with it. They don’t care. They don’t want to deal. They don’t like all these anti-messages they’re getting on their Twitter feeds or wherever else they’re showing up, email. So to sue for peace, to buy peace, they go very public and announce that they are terminating their relationship with the NRA. And all that does is embolden the phonies behind the scene to keep up the attacks. And this is designed to wreak havoc and harm on the NRA — which, once again, had nothing to do with this. Ask yourself rationally: What in the world is the reason for targeting, for any whatsoever, the NRA whether you want to put it out of business? Whether you want to financially damage it whether you want to ruin the reputation, why? The NRA has nothing to do with this. The people who had everything to do with it, including the perp, are being ignored. They certainly are not being pressured. CNN tweeted last night, “President Donald Trump described someone who would shoot up a school as a ‘savage sicko.’ … NRA spokeswoman Dana Loesch described the gunman as ‘an insane monster’ who is ‘nuts’ and ‘crazy. '” This kind of “language about mental health could be harmful, experts say.” Are you kidding me? So CNN — in its literal trashy, garbage existence — has to tweet out last night… They are so poisoned and obsessed with hatred for Trump that they’re now coming to the defense of the shooter! “And at a White House briefing Thursday, the president again used the term ‘sicko.’ The shooter, Nikolas Cruz, struggled with depression, attention-deficit hyperactivity disorder and autism, according to a 2016 Florida Department of Children and Families report. But having a mental health diagnosis does not mean he would become violent, many experts say. And although Trump has said he wants to focus on mental health to stop school shootings, calling Cruz a ‘sicko’ doesn’t help, those experts claim. “‘When it comes to mental health, language really matters. This is not about being politically…’ said [a] senior policy adviser with the National Alliance on Mental Illness.” What is the guy gonna do in jail? Go grab a gun and start shooting people again? Do you understand this? This has become… If anybody’s mentally ill, it is the combined employment at CNN. If anybody has lost their grip, if anybody has become so obsessed with one human being that they will not stop until they have wreaked every bit of damage they can, it is CNN. I’ve never seen anything like this, and I have seen a lot in my 30 years. I have never seen from that rally that was not a rally that was a setup from the get-go, that had an avowed political purpose that was opposite what it was said to be in the way it was promoted, to now deciding Trump could be to blame here for inciting future shooters because he’s insulting the mentally ill. It’s not helpful, and it could be harmful, “experts say.” This is mentally ill. We have a major news network which is on the verge of descending into its own mental illness. And it’s everybody that works there! It is the most uncanny thing. It’s everybody that works there. There isn’t a single exception. I don’t care what time of day or night you watch CNN, you are being treated to entire, full-fledged, undiluted, raw delusionment — unhinged mental illness. It’s the only way to describe this. No matter what happens, and no matter what is said — no matter who says it or how it’s said — somehow it’s either Donald Trump’s fault or the next event will be Donald Trump’s fault. Well, everything is Donald Trump’s fault — everything — ad they’re probably gonna be even contemporaries today. I watch CNN now for the entertainment value just to see how they are going to turn whatever latest news, breaking story there is into the way they treat it. I swear, I sit here and I watch the way these people react and characterize things, and in no way could a rational mind come up with what they come up with every hour of day. There is no letup in it. I find myself asking: Are there meetings every day with the staff at CNN for guidance and instruction, or are they individually capable — as human beings — of acting this totally in a deranged way in unison individually? “Trump’s Language on School Shooter’s Mental Health Could Be Harmful…” CNN has yet to express anger at the shooter. CNN has yet to express any anger, and CNN hasn’t really made a big deal out of the deputy who was on site and didn’t pull the trigger, didn’t go into the school, didn’t try to help out. Oh, I’m sorry. They have! They… Forgive me, folks. They are now using this as an example of how Trump’s concealed-carry solution to violence in the schools won’t work, that it’s a silly and stupid idea. Which enables the media to keep the focus on the NRA and Republicans and Trump when they had nothing to do with it — literally nothing to do with it — and the people who did have every in the world to do with knowing who the guy was, ample opportunity to stop him. They didn’t do a thing, and there’s no anger at them. It’s the most amazing thing. RUSH: Ladies and gentlemen, there’s an organization called ThinkProgress, the online blog of the Center for American Progress, John Podesta’s group. They’re an uber-left-wing organization with ties to every Clinton administration, every Democrat administration. They posted a list of 20 companies that have “connections to the NRA.” I’ll tell you how this works. So ThinkProgress, a left-wing group, posts a list of 20 companies that do business with the NRA. Then ThinkProgress publishes… Now they have 22 people on the list. Then the Washington Post comes along, and there’s a long article on the so-called grassroots boycott of the NRA, which never once mentions that ThinkProgress and the Center for American Progress are behind it. So one left-wing organization gets people all riled up in connection with whatever bot programs the activists are out there to flood these industries, these businesses doing business with the NRA. Then the Washington Post marvels: “Look at this massive grassroots effort against the NRA,” and they do a big, long story praising it, and talking about how cool it is, never once mentioning that the whole thing is artificially drummed up and promoted. Never once mentioning the people who have organized it. RUSH: This is Scott in Wausau, Wisconsin. You’re up first today, sir. It’s an awesome responsibility. You set the tone for every caller who follows. CALLER: Okay, Rush. Thank you, man. I love you. 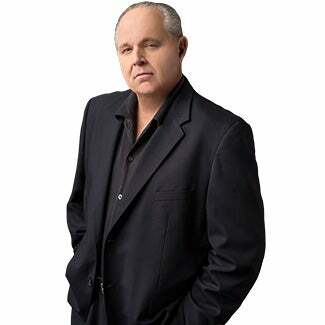 Hey, Rush, I was in the military for 11 years, and right now just alone with the murders in Florida, Mueller should be down the road. RUSH: Mueller should be down the road? CALLER: — for all these children that died. RUSH: What’s Mueller got to do with it? You mean Trump fire Mueller? CALLER: Who’s in charge of the FBI right now? RUSH: Christopher Wray, who is the director of the FBI, named by Trump. Mueller is a special counsel hired by the deputy AG, Rod Rosenstein, who is doing things completely unrelated to what happened to Florida. Mueller is trying to bring down Trump. Now, there are a lot of people think that Trump should fire Mueller, but politically it’d be disastrous to do so. But still, your point about the problem being local… It wouldn’t be bad to repeat this. Look at all the rage, folks. Look at all of the anger. Look at CNN, whatever that pile of absolute excrement CNN put on the other night was. Look at all the rage, look at all of the anger, and realize every bit of it — not every bit, but a significant portion of that anger — is artificially generated and ginned up by people you don’t see stoking the fire. At who? We now know the deputy was on-site, was armed, could have taken the shooter out, chose not to even go in the school. The 39 times to take him out that was passed on the FBI twice! 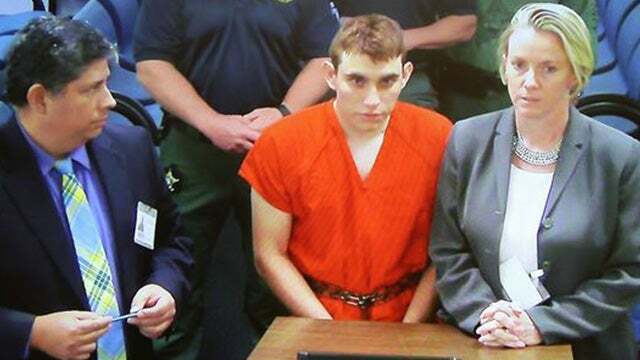 All of the opportunities to prevent this doing what he did, and the anger is directed at Donald Trump and the NRA? Tell me that’s rational, because it isn’t. RUSH: In instances like this, you know, it’s only natural to start asking, “Who’s gonna get fired? Why hasn’t somebody been fired?” and I understand that. But I think that misses the point too. That puts the focus a little bit off track, to me. Daily Wire: Every Single Government Authority Failed In Parkland. And They Expect Americans To Forfeit Our Self-Defense Rights To Them?